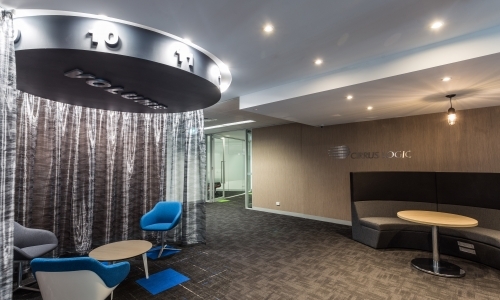 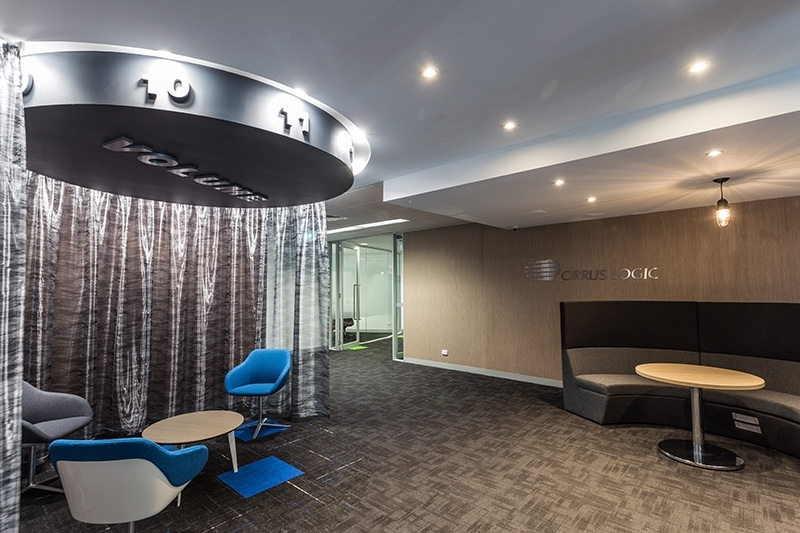 Cirrus Logic is a premier supplier for cutting-edge audio and voice IC products. 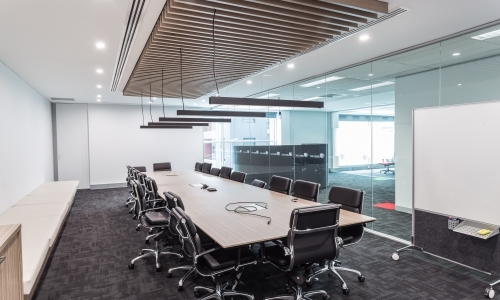 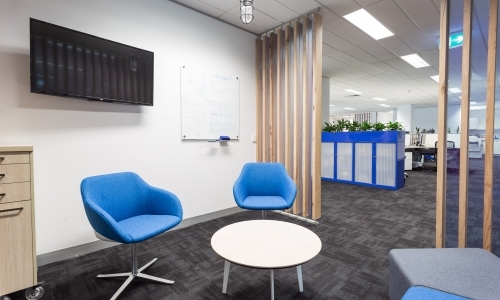 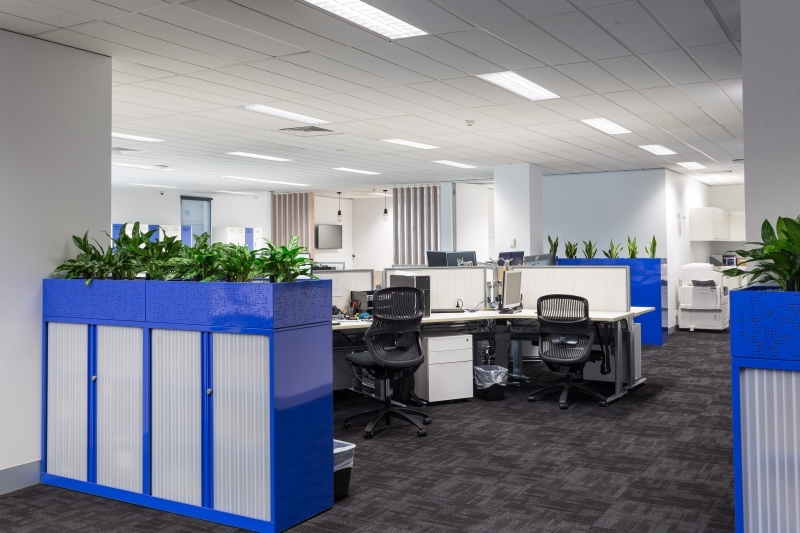 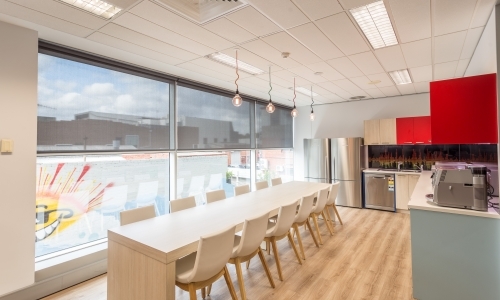 The concept of their Melbourne based office located in Richmond encompasses sculptural with hints of the corporate bright colours distributed in joinery, flooring, furniture and finishes. 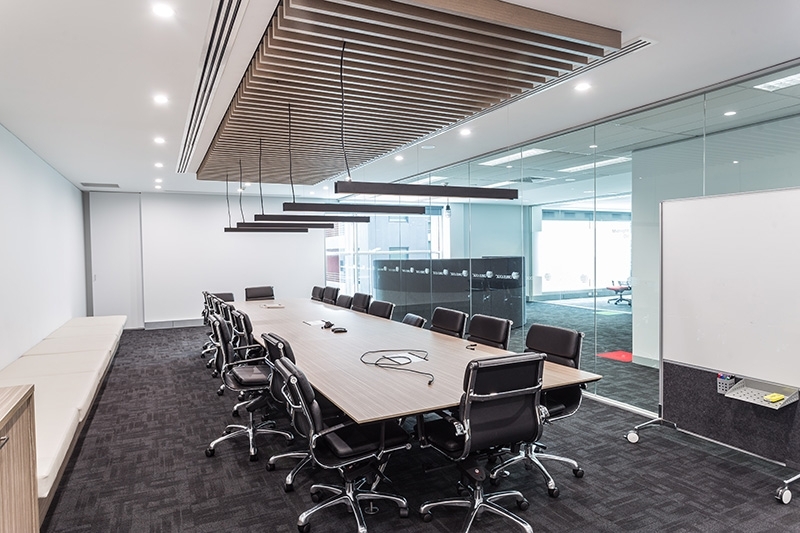 With metallic drapery and an acoustic slatted ceiling feature, the overall space is fluid with curves but practical. 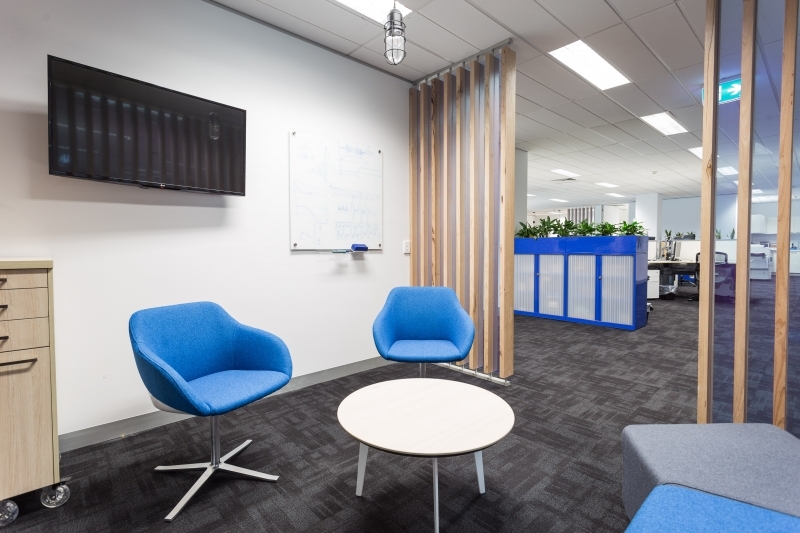 Their specialised fit out caters for technical specialised Acoustic Labs/Workshops, Test Rooms and Library. 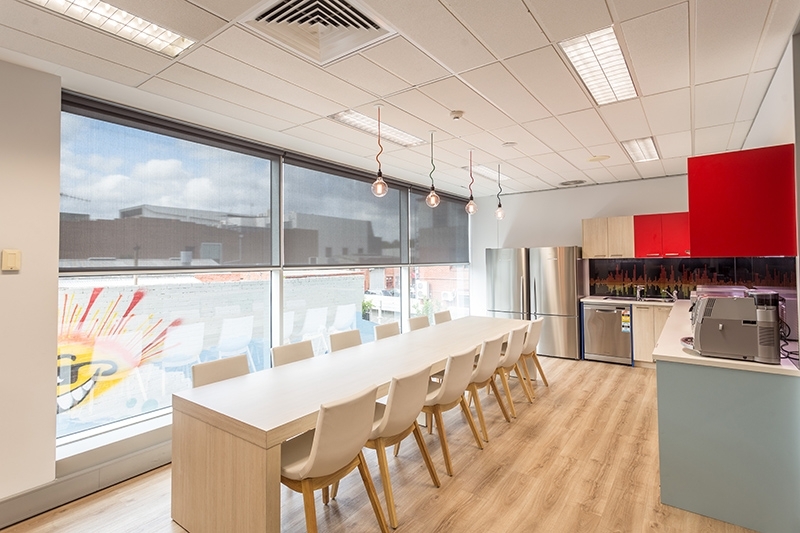 Organic and neutral coloured electronic sit/stand Workstations for staff accompanied with a large Kitchen/Breakout area with edgy, bold coloured panels and warm tones in the joinery, a sound bar graphic for the splashback/privacy graphic film on the glazing partition and industrial colourful cable jewellery lighting complimenting the artistic graffiti visible from the outside lane.